The number 9 is the last number in a base 10 system which is the last and limit of all that is. Nine is a number which has many interesting qualities that other numbers do not have and has been used to hold a hidden code that affects every person on earth. If you think nine is just another number, you are in for a big surprise. The number 9 is very interesting and suspect looking like an upside down 6. Even more interesting, there is something about it that most people and scientists don’t know. 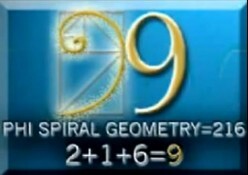 As you will soon discover, there is a hidden code that reveals the greatest truth of all and it is encoded into the construction of our universe and affects our lives called the 9 code which many times appears as 911. If you are ready to for the truth and willing to go down the rabbits hole understand one thing. You can take the blue pill or the red pill but choose wisely because once you’ve made your decision and get this knowledge, there is no turning back.